Soy is a major ingredient in the food industry comprising of meat alternatives, dairy alternatives, grains, snacks, cereals, meal restoration, protein powders, and formulas. Meat alternatives made of soy are tofu, tempeh, vegetarian burgers and frankfurters, meatless luncheon slices, canned meat analogs, ground soy burger, and soy bacon. Various soy foods are soy sauce, tamari, soy nut butter, and miso etc. Soy dairy alternatives are soy milk, soy creamers, soy yogurts, tofu¬-based butter alternatives, soy whipped toppings, soy cheese, and non¬-dairy desserts. It is usually sold in bulk, fresh, frozen, and dried soybeans. Moreover dairy is a staple food and an essential part of the human diet. Dairy products are butter, cheese, milk, cream, yogurt, buttermilk, ice cream, and lactose-free dairy products etc. According to study, “Top Growth Opportunities: Dairy & Soy Food in Canada” some of the major players that are currently working in the dairy & soy food in Canada are Saputo Inc, Agropur, Groupe Lactalis SA, The Kraft Heinz Co, Danone Group, General Mills Inc, Unilever Plc, Ultima Foods Inc, ConAgra Brands Inc, Gay-Lea Foods Co-Operative Ltd.
On the basis of category coverage, dairy & soy food market is segmented into butter & spreadable fats, cheese, dairy-based & soy-based desserts, drinkable yogurt, fromage frais & quark, milk, soymilk & soy drinks, and yogurt. On the basis of distribution data, the market is segmented into warehouse clubs, food & drinks specialists, hypermarkets & supermarkets, convenience stores, dollar stores, variety stores & general merchandise retailers and retailers etc. Hypermarkets & Supermarkets are popular channels for the delivery of dairy and soy food products in the country. On the basis of packaging data, the market is segmented into flexible packaging, paper & board, rigid metal, rigid plastics, and glass etc. On the basis of pack type, the market is segmented into the tub, bag/sachet, can, and carton – liquid, bottle, film, stand up pouch, wrapper, cub, aerosol, tray, and jar etc. Canada Dairy & soy food market have many success factors include developing demand, distribution network, coordination, supply chain, just-in-time, small group activities and kiosks etc. Growth factors are driven by increased consumption, value increase due to the rising price of milk, resulting from the expansion of consumption occasion and consumers trading up to more premium options. Additionally reduced fat is the main driver of health & wellness concerns in the market. Some growth areas are the impact of changing population profiles, increase in private label products, new product development and the growth of premiumization etc. The rising internet diffusion and ease of online transactions are the key factors driving the growth in dairy and soy foods online platforms. Canada’s e-commerce in dairy and soy food category is convenient and saves time with easy payment options, thus exposing a wide range of dairy alternatives. 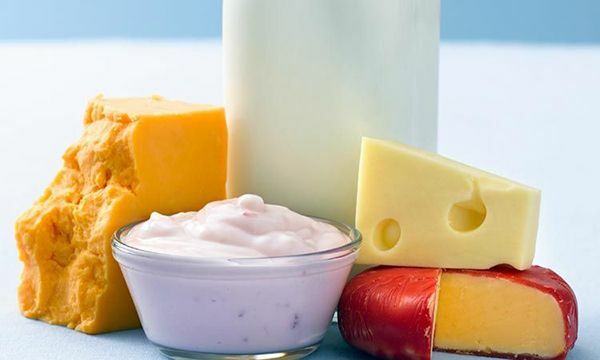 In recent years, dairy and soy food is witnessed due to various factors such as advanced technological developments, increasing growth opportunities, market projections, rising internet penetration and ease of online transactions etc. The Dairy & Soy Food sector in Canada is forecast to grow at 3.8% CAGR in value terms during 2016-2021. The dairy production capacity is likely to expand further on account of rising demand for dairy products in Country. The per capita consumption in the milk market is noticeably higher compared to other markets. In 2018, the market value of the Canadian dairy industry amounted to approximately 11.45 billion Canadian dollars and is forecast to increase to 11.65 billion dollars by 2019. In the upcoming years, it is estimated that the Canadian dairy & soy food market will be increase instantly.